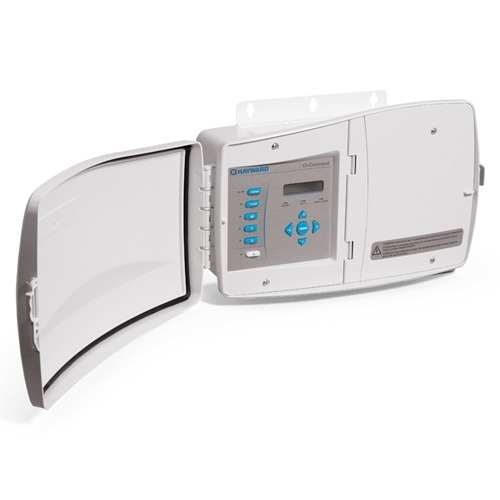 Controllers constantly analyse the pH and Chlorine levels in your pool water while the automation systems control the pump, water features, cleaners and solar features to your pool. 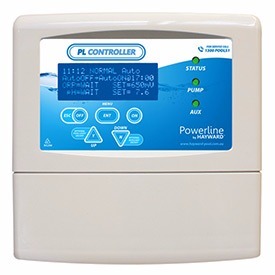 The Powerline Controller uses a multi-electrode (probe) to constantly analyse levels of Chlorine and the pH of the water while the digital programmable timer controls when the pump and filtration system operates. Choose OnCommand when you don't need an electrical subpanel on your pool pad. OnCommand brings the luxury of automating pool, spa and other backyard functions to pool owners who thought that automation was unaffordable. If you don’t need a power sub panel on your pool pad, this is your unit. It’s the perfect retrofit solution for pool owners who want to add automation to their existing pools. The GVA24 valve actuator rotates either two or three-way PSV Valves automatically to effectively automate water feature, pool/spa, cleaner and solar operations. 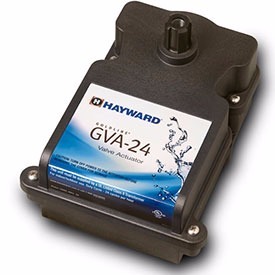 It is specifically designed to the industry standard configuration operating a 24-volt switching power supply so the GVA-24 is compatible with all major manufacturer’s valves and pool automation systems.